Sunshine is important for your health, but before you get sun rays you need to assess your current situation. We want to get sunshine and all its beneficial aspects, but we don’t want to burn. Serious sunburns, particularly before the age of 20, increase the risk of all types of skin cancer. 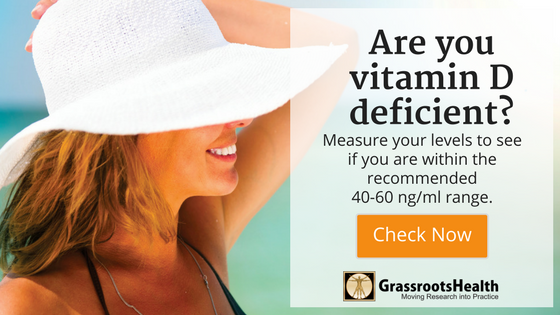 What is your current vitamin D level? Do you need it raised, to stay constant or lowered? What is your current sun exposure? As we head into summer, will you get more or less sun exposure? Do you live in a location above 32 degrees latitude where there was no vitamin D production until recently? Being aware of your skin type is very important when planning your sun exposure. The statement that “15-30 minutes of midday sun a few times a week is plenty” is just NOT TRUE for many people. That might be true if you are a Fitzpatrick skin type II. It is definitely NOT TRUE you are a Fitzpatrick skin type VI. You can spend time outdoors at 7 pm and be guaranteed never to burn. Why? The UV strength is minimal or non-existent at that time (in most parts of the globe). Understand your latitude, the time of year, and the time of solar noon. (As of writing, in San Diego, solar noon is 12:45 pm.) Cloud cover, smog, and altitude all affect UV strength. The higher the UV strength – the shorter your time in the sun. Figure out your goal sun exposure time based on the amount of vitamin D you would like to get, UV strength, how much body you are exposing, and your skin type. If you haven’t been out in the sun for several months (over a long winter), don’t try to take it all in at once. Work slowly and acclimate your skin to the sun over time.